BEFORE YOU BUY YOUR TOWELS! Even after years and years of sewing, I forgot to check mine. 'Yep' sure enough they were different in length and design was very hard to line up equally. As a matter of fact they aren't perfect, but this OCD brain is going to ignore that fact and use anyway! Scratched my head to remedy this situation! DEPENDING ON THE QUALITY AND TYPE TOWELS YOU HAVE PURCHASED YOU MAY NEED TO WASH AND DRY ON LOW. 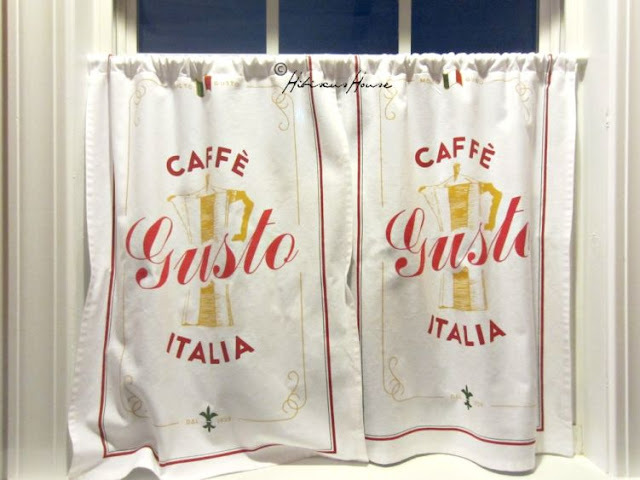 I KNEW MINE WERE OF GOOD QUALITY SO I DIDN'T HAVE TO SO I MADE MY CURTAINS AND THEN WASHED AFTERWARDS. How shall I say this, If you have cheaper towels then they may shrink so I advise you to wash before sewing. That will save you a lot of time and aggravation in the long run. MEASURE YOUR WINDOWS YOU WILL NEED TO KNOW HOW MANY TO BUY TO FIT. 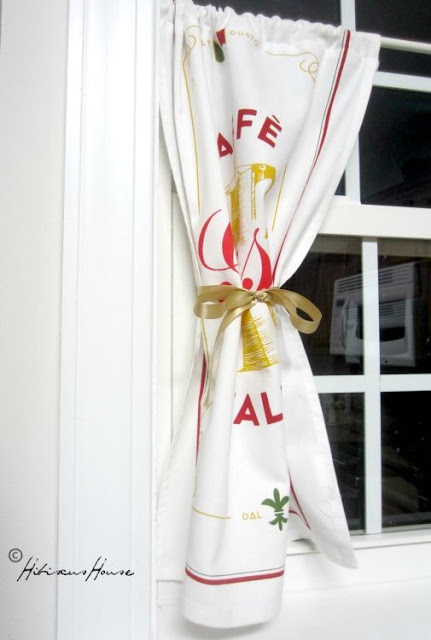 IF YOU HAVE WIDE WINDOWS YOU MAY NEED TO SEAM ON THE SIDES OF MORE TOWELS BEFORE FOLDING OVER AND SEWING THE TOP. TAKE ALL OF THAT INTO ACCOUNT. 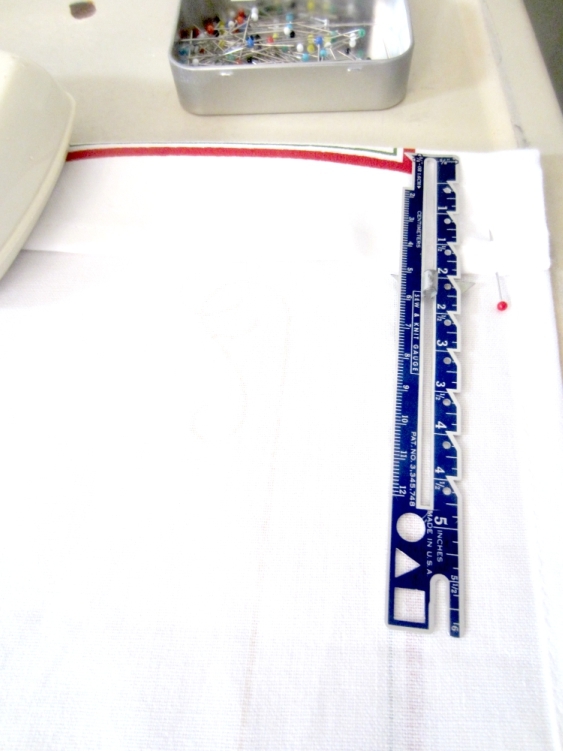 Measure and pin along the length of the top of towel/curtain. EASY WAY TO MEASURE IS FOLD THE TOP OF ONE TOWEL OVER THE ROD. ALLOWING AN INCH OR MORE FOR SEAM. YOU WILL BE SEAMING CLOSELY TO THE EDGE RIGHT BESIDE THE SEAM ON THE HEMMING ALREADY DONE ON TOWEL. OR MEASURE ALLOWING EXTRA FOR SEAM WIDTH . 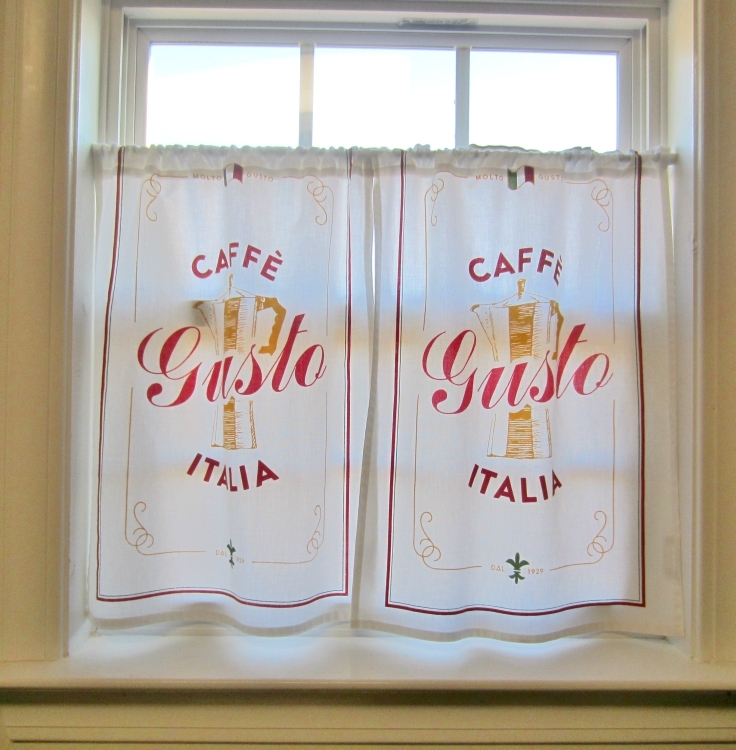 YOU CAN SEE IN A PHOTO ABOVE THAT I USE A SMALL 1/2 INCH TENSION ROD TO HANG MY CURTAINS. EASY TO PUT UP AND TAKE DOWN AS WELL. BUT YOU CAN USE A REGULAR CURTAIN ROD, JUST MEASURE ACCORDINGLY. **NOTE IF YOU CHOOSE NOT TO USE THIS TOWEL AS A TOWEL LATER ON YOU CAN HEM DIRECTLY ON THE VERY EDGE. 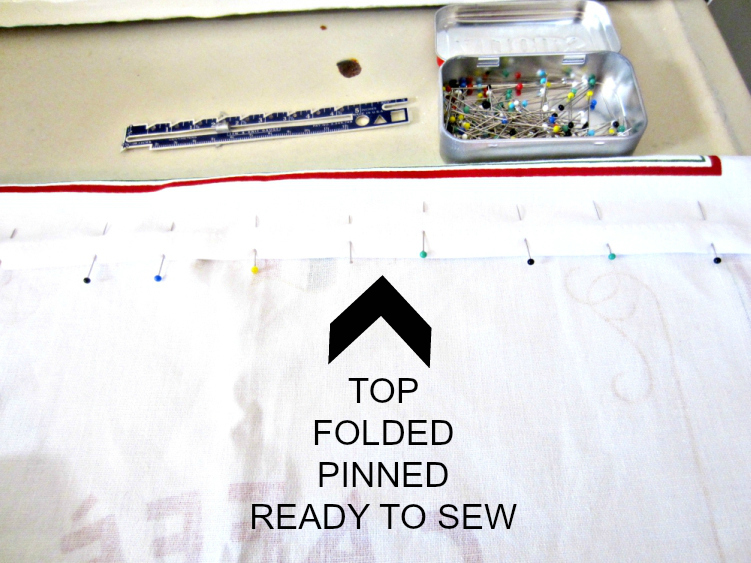 **NOTE Remove pins as you sew because you don't want to sew over them you may break your needle. 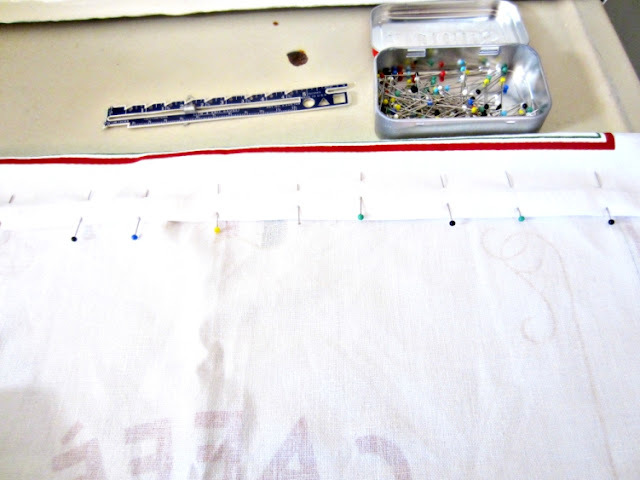 STRAIGHT STITCH AS STRAIGHTLY AS POSSIBLE IT WILL MAKE A DIFFERENCE IN HOW THEY HANG. 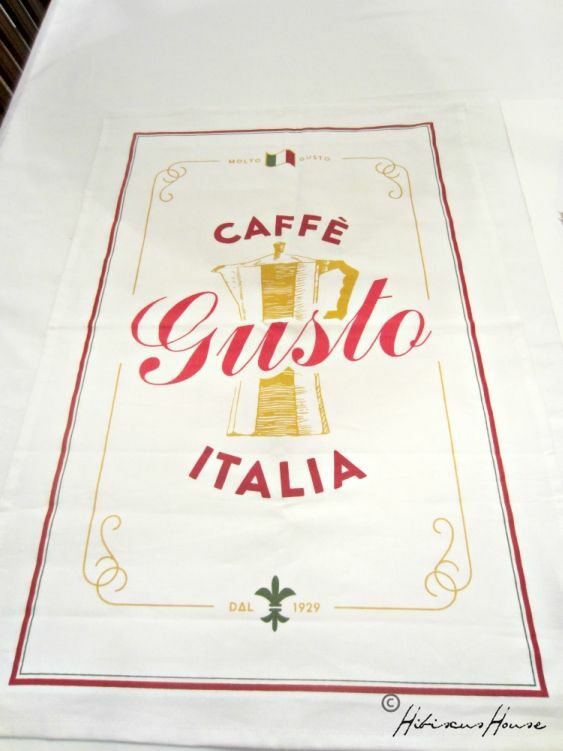 See the seam above is from the narrow hem on the kitchen towel already sewn when you purchase! SECURE EACH END WITH KNOTS, SO THE SEAM WON'T COME OUT EASILY. TRIM THREAD. THAT'S IT! THE SEWING IS DONE! ONLY ONE SEAM! THE SIDES WERE ALREADY HEMMED IN THE FACTORY! HOW COOL IS THAT? WASH AND TUMBLE DRY UNTIL ALMOST DRY ON LOW SETTING. REMOVE DAMP AND STEAM IRON FOR A WONDERFUL FINISH. HANG MAKE TIES OF JUTE, FABRIC, OR RIBBON SHOULD YOU DECIDE TO TIE BACK. I USED SOME RIBBON ON HAND AND IT WORKS WELL. 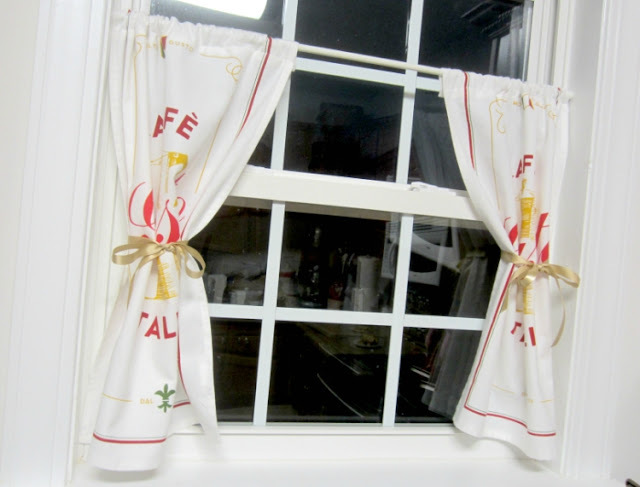 DIDN'T EVEN PUT A NAIL OR HOOK IN WINDOW FRAME JUST TIED THE BOWS AROUND TO HOLD THEM BACK. This simple straight design is easy enough on the eyes and almost all of the sewing was done in a factory. 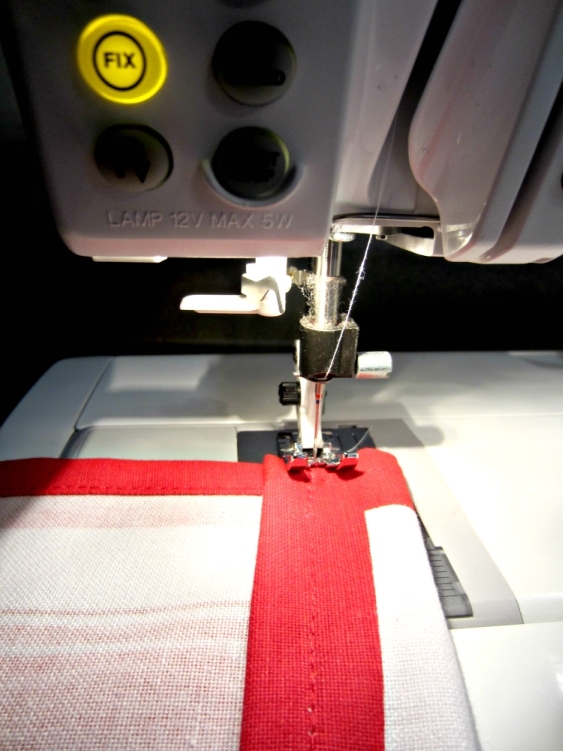 You only have to seam once on each towel and you're done! You could buy extra if you want extra fullness or even more to add any ruffles etc. That is up to you and what you would like! I chose the easy, simple look and I'll be using these towels later. All I'll have to do is remove the stitching just made wash and use as intended. I did a lot of writing for something so simple, but if you don't sew you don't know. If by chance you do sew you know how easy it is. Buy the towels they're already hemmed on both ends and both sides! 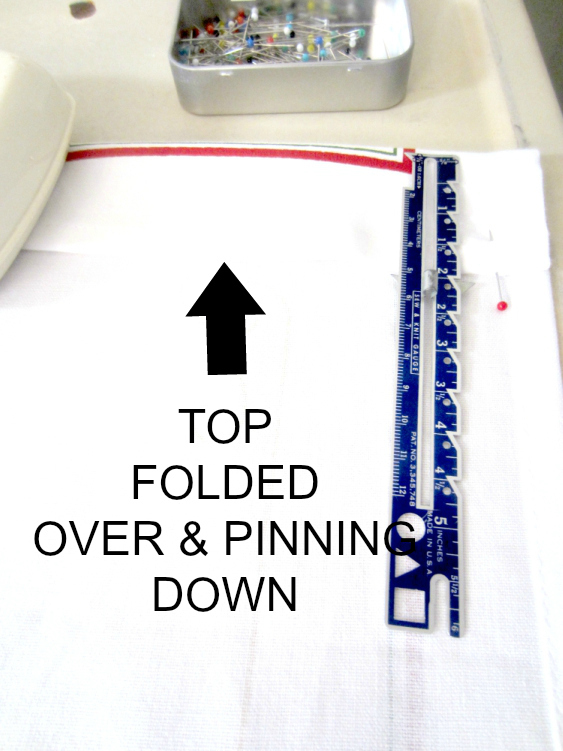 Measure, fold, stitch, iron and hang! 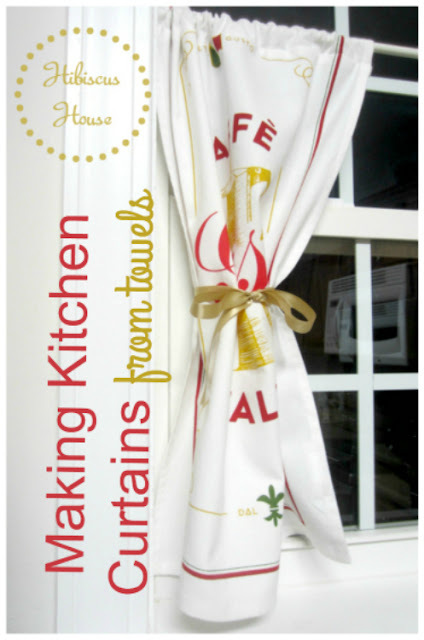 Enjoy and be sure to visit main house for a few more pictures Dish Towels Many Uses. Share your dish towel curtains with us is you would like!